After putting together some our favorite moments from 2017, it’s hard not to be brimming with gratitude for everything we’ve had the opportunity to experience this year. I remember several years ago aching to shoot just one wedding – reflecting on 2017 from that perspective has me in awe. From celebrating so many sweet seasons of engagement to witnessing the beginning of so many marriages, this year has been pretty incredible! It seems that most of our favorite moments were the ones we couldn’t necessarily contrive on our own – images that show genuine emotion and take us back to what it truly felt like on that day. We can hardly wait for what’s in store in 2018! 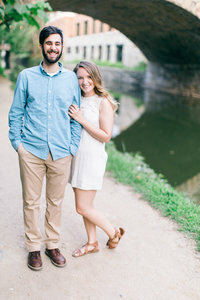 Are you engaged and in need of a photographer?! Without further ado, some of our favorite moments from this past year! We loved exploring the Capitol Building in January with Tommy and Hannah, and getting their session published on Washingtonian! With Weston the pup, of course! Shooting this incredible English Garden styled shoot at 48 Fields now featured on Grey Likes Wedding! Speaking of getting ready shots, this image of Alex and her mom will alway be a favorite! Are you engaged and on the lookout for the perfect photographer to document your day? Mike and Ashley’s wedding was such an incredible reflection of their servant hearts towards each other. They both hand made the cross they stood in front of at their ceremony, and washed each other’s feet to symbolize their promise to serve each other moving forward. Brandon and Scottie DANCED down the aisle and into the hall when they finally became husband and wife after dating since Scottie’s sophomore year of high school! On the morning of Stan and Kate’s wedding, it looked it was going to rain the majority of the day. As Kate and her dad walked down the aisle, the clouds opened and the sun came out as they walked to “Here Comes The Sun.” We were all in awe! Somehow on a busy Saturday it seemed as if John and Layla had Union Station all to themselves for their portraits. And then we all traveled to the Capitol building for some of the most iconic DC photos! The fog finally cleared towards the end of the day and we took portraits on the mountain where they first met! We’ve also gotten the chance to explore some of the coolest places this year!